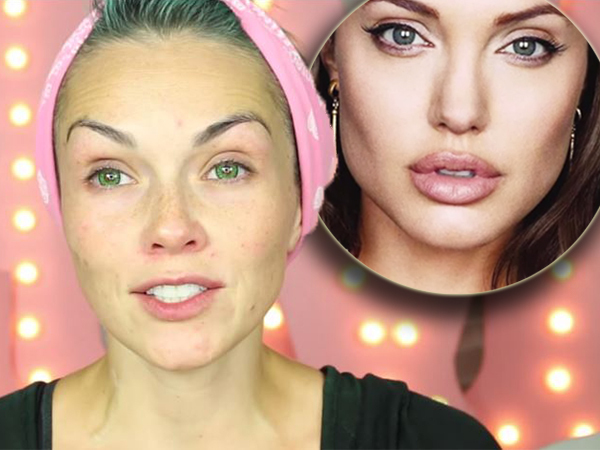 Watch as woman transforms herself into Angelina Jolie in just minutes – using only makeup! This is pretty incredible – albeit slightly terrifying. Celebrity makeup artist Kandee Johnson posted the unbelievable transformation on her incredible YouTube channel. She's certainly excellent at what she does -- there are some mindblowing tutorials on there, including how to become Elsa from Frozen, Kylie Jenner and even Barbie!